And y'all thought that Teresa was going to slow down her spending after her federal indictment? Tre will spend every last penny and you heaux will deal! Real Housewives of Atlanta's Nene Leakes spoke to RadarOnline and gushed about the pricey gift from Real Housewives of New Jersey's Queen Teresa Giudice. "Teresa Giudice gave me Hermes plates, they were very expensive, " Nene bragged. Who the hell talks about money and gifts like that? Nene is so materialistic and shallow! Anywaytho, the plates allegedly cost close to $7,000 according to Nene's registry. I could think of about a thousand other ways Teresa could have spent that money but hey, it's her money not mine! Celebrity judge Joe Mathis also dropped a few thousand on some Hermes crystal glasses for Nene and her new/old husband Gregg. Who knew Judge Joe and Nene were even friends like that? Nene also claims that Bravo exec Andy Cohen gave her a "really nice gift" although she surprisingly didn't elaborate on what he gave her. Rich people just be wasting money, huh? 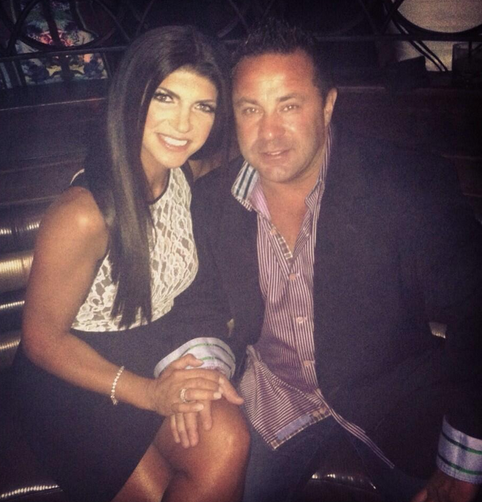 What do you think about Teresa Giudice spending 7K on Nene's wedding gift? Really!!! Just because you CAN that don't mean you SHOULD. UGH!!! It's nt the price, it's the thought.